The IL Supreme Court has mandated a change to the e-Filing rules for Asbestos cases. Contact Annette Cafferkey at acafferkey@fileandserve.com for more information and assistance. Learn how FSX can assist you with your eFile & eService needs. The L.A. eFiling Mandate is here! Add File & ServeXpress to your team! 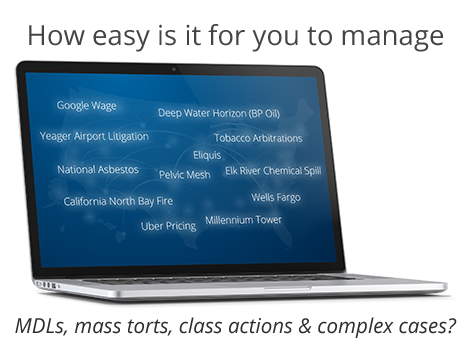 We have successfully served our clients on all of these state and federal cases. It’s easy, secure, and reliable. Trust File & ServeXpress to eServe your next case. To be honest, I don’t know how we ever lived without electronic filing before. It has been overwhelmingly beneficial to every single member of the court system here in Delaware. Lee W. Davis – Attorney, Goldberg, Persky & White P.C.